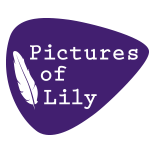 This entry was posted on August 3, 2016 by Lily Moayeri in Previews and tagged cassius, glass animals, gorgon city, how to be a human being, ibifornia, kingdom vol. 1, lily moayeri, the a.v. club.